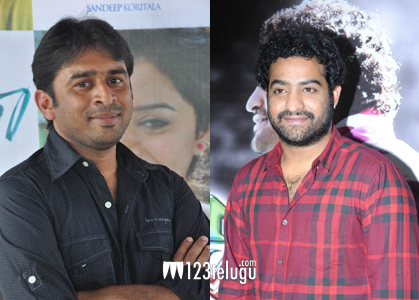 NTR to team up with Swamy Ra Ra director? Director Sudheer Varma made a good impression with his debut film ‘Swamy Ra Ra’. Despite a small budget and no top stars, the movie managed to run well in Andhra Pradesh. If the latest reports circulating in Filmnagar are to be trusted, Sudheer Varma is all set to get a big break for his next project. Sources say that Sudheer Varma has narrated a story line to Jr NTR . The star hero was reportedly quite impressed with the concept and is said to have given an in principle approval. NTR reportedly asked Sudheer to develop the story further. If this project materializes, it will be produced by BVSN Prasad’s son Bapineedu. So far, there has been no official announcement about this new project.